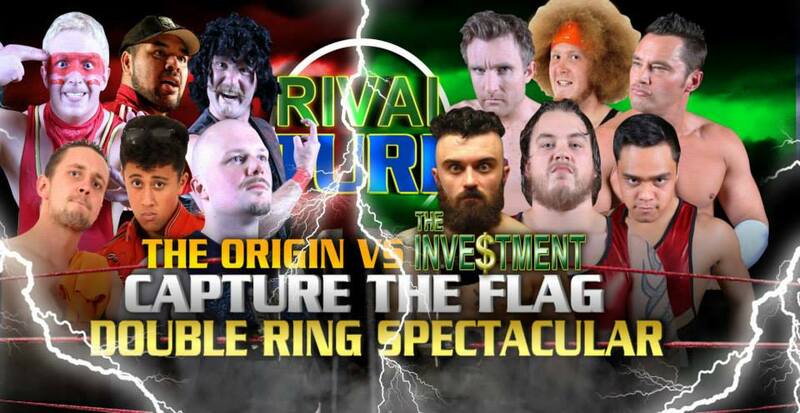 The turf war between The Investment and The Origin will come to a head at Rival Turf when both teams meet in IPW’s signature double-ring, Capture the Flag match. This year’s bout is scheduled to be Rival Turf’s biggest yet, with six representatives from each group going into battle. The Investment will be represented by new IPW Champion Fury, as well as Aaron Henry, Curt Chaos, Jakob Cross, Pat Schisk, and Vinny Dunn. Alfred Valentine heads up The Origin, with Alexander, James Shaw, “Pirate” Jason Burns, and IPW Tag Team Champions TnT by his side. Also announced for Rival Turf, Travis Banks uses the rematch clause in his contract to challenge Fury for the IPW Championship – meaning Fury will have to wrestle two matches in one night. IPW Rival Turf takes place Saturday, August 30, at the Lynfield Recreation Centre in Auckland. Click here for more information.